Facing foreclosure? Facing Judgments? Facing Garnishments? We can file an emergency bankruptcy petition within 10 minutes! As a trusted, experienced, and caring lawyer, Attorney Cook has successfully resolved thousands of financial situations spanning decades. This has included representing individuals, couples, and businesses involved in a financial crisis. Please take a moment to view the long list of fantastic references and testimonials and then call TODAY for a FREE consultation. There is no fee for initial discussions regarding individual financial matters. We can STOP the creditors that are harassing you. ֍ For over two decades, Attorney Cook has resolved thousands of financial problems. The law firm can release frozen bank accounts, remove wage garnishments, remove judgments, respond to law suits, coordinate a loan modification, handle foreclosure defense, eliminate credit card debt, stop creditor phone calls, resolve tax issues, coordinate debt consolidation, lien strip a mortgage, pass the means test, cram down a second mortgage, file a chapter 7, file a chapter 13, handle a short sale, etc. 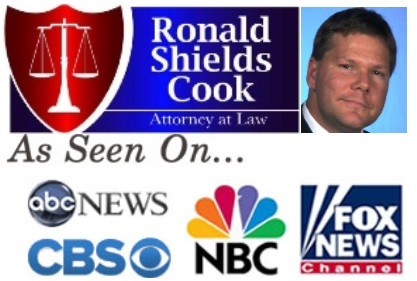 ֍ Why select Attorney Cook as your lawyer? He has successfully assisted thousands of individuals and businesses with their debt issues. These matters were handled by Attorney Cook, not a paralegal. Attorney Cook has always been committed to providing each client close personal attention and a superior service. ֍ For debt problems, you should select a lawyer that specializes in debt issues and that will work diligently on your financial problems. This will give you peace of mind and will eliminate your financial stress. Contact Attorney Cook today so that you can immediately benefit from in-depth experience and his dedication to helping clients resolve debt issues. ֍ NOW is a great time for you to get your financial fresh start. Attorney Cook is committed to working with you to construct a plan to help you attain debt relief. He understands the difficulties arising from a serious debt situation whether caused by medical bills, the loss of a job, divorce, or poor money management. He will treat you with compassion, honesty, respect and dignity. ֍ As a bankruptcy attorney, some services include chapter 7 bankruptcy assistance for individuals or business liquidations, chapter 13 bankruptcy assistance which includes creditor payment plans. ֍ Attorney Advertising ©Ronald S. Cook, P.C., All Rights Reserved. Ronald S. Cook, PC is a debt relief agency. We help people obtain relief under the bankruptcy code. Prior results do not guarantee a similar outcome. Serving Suffolk County, Nassau County, Queens, Brooklyn, Bronx, Staten Island, Westchester, and Manhattan. ֍ Attorney categories: Bankruptcy attorney, Long Island bankruptcy attorney, Nassau attorney, Suffolk attorney, Lawyer categories: Bankruptcy lawyer, Long Island bankruptcy lawyer, Nassau lawyer, Suffolk lawyer, Other categories: New York Bankruptcy, Debt relief, Eliminate debt, debt management, Chapter 7, Loan Modification, Foreclosure Defense, Debt Negotiations, Short Sales, Chapter 13. Experienced bankruptcy lawyer. Contact us today for filing chapter 7 bankruptcy. Ronald S. Cook, PC is a debt relief agency.